Well of Course We Know How to Barbeque! It’s summer! What a great time of year! Nothing but great, really, really warm fun, right? There is nothing like laying on a beach, or in a hammock, or in a swimming pool, taking in that great summer fun. ( Plus, lots of sweating, sunburn, mosquitos, and poison ivy.) How great is that!! And what about picnics? Nothing like an old time family picnic to get the summer started. And what would a real family gathering be without the thing that says summer the most? There are various foods that one must procure for a barbecue. We are just skipping this food supplying part. We imagine some sort of hunting takes place. So, let’s say that the food is at the barbecue already. All prepared and what not. The barbecue is some sort of container where the fire lives. Sometimes people poke the food with sticks. Sometimes people put a stick right through the food and then they spin the food. There is also a flippy thing that is used to turn the food over. So, we figured out that the idea is to keep the food in constant motion. Either poke it, spin it, or flip it. Just keep the food moving, and you can’t go wrong. See? We’ve got this. It is also pretty important to wear some sort of a hat. Like a chef’s hat, but more festive. It usually has something written on it. 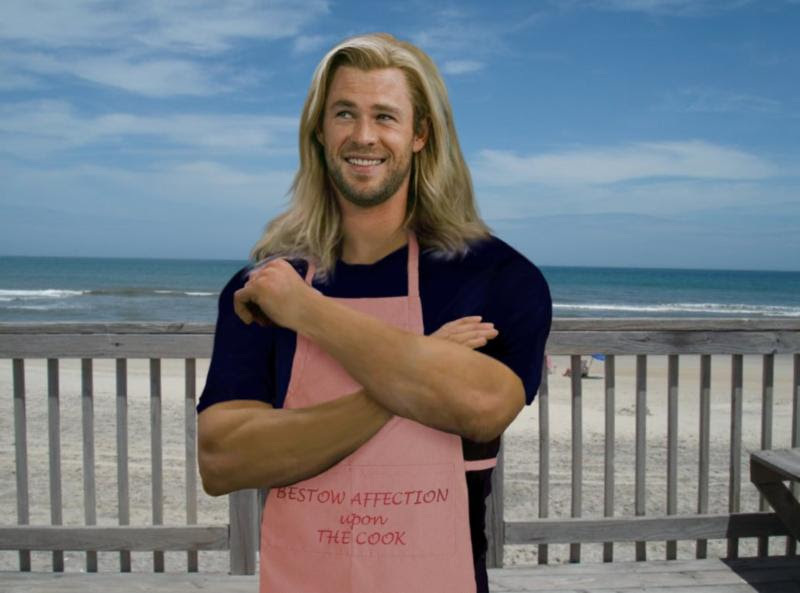 An apron is worn as well. Again, writing on it seems to be the thing to do. We have decided this is to identify one as a cook to the other cooks. We would like to note that there is also some involvement with tiny black bricks. We have heard that these bricks are used before the fire comes. We have surmised that these bricks are used to build something before you have to start moving the food. We are guessing it keeps the cook occupied. We thought of many things that can be built with these bricks. A tiny house? Maybe a chair? How about a cool pyramid? We have decided that we would build the pyramid. In the meantime, we are having a party! It is a “Let’s Go Crazy Party” in honor of Prince! It will be on Sunday, July 17th, between 1:00 and 3:00. There will be purple sangria, Prince music, and everything in the store that is purple will be on sale! 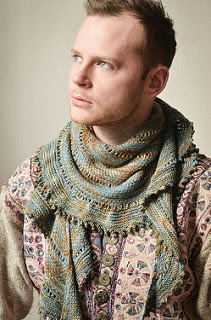 We will be making an awesome shawl by Stephen West, called Rising Dawn. (Named after his mother, so sweet!). It takes only two skeins of Madeline Tosh Twist. The event is free. Come and have fun and start your shawl. It is a really fun shawl to make, and, if you have never made a Stephen West shawl, this is a perfect first one. Our store will be open on Saturday, July 2nd, and closed Sunday, July 3rd. We will be supporting someone who is barbecuing that day. Now that we know how to barbecue, we want to congratulate this unsung hero we call the cook. Plus, we want to see what he builds with his tiny bricks. See you soon, and have a wonderful July the 4th! !